SEOUL, KOREA, Apr 19, 2018 - (ACN Newswire) - Suprema, a global leader in biometrics and security, has announced the launch of XPass D2 series RF card readers. 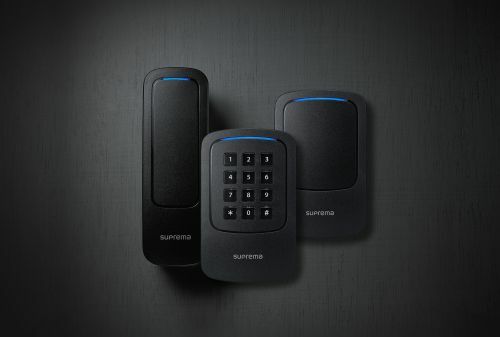 The XPass card readers are redesigned to lend extended capability, design flexibility and cost-effectiveness to the CoreStation package, Suprema's enterprise access control solution. XPass D2 series are compact and outdoor-ready, with rugged IP67/IK08 housings, optimized for CoreStation-based centralized access control. XPass D2 readers come with dual-frequency RFID technology which reads both 128kHz and 13.56MHz RF cards including EM, MIFARE (plus), DESFire (EV1) and FeliCa standards. The readers are BLE (Bluetooth Low Energy) and NFC compliant, for use with Suprema's BioStar Mobile Card. XPass D2 readers come in 3 models: The XPD2-MDB is mullion-type, while the XPD2-GDB and XPD2-GKDB are gangbox-sized form factor, and GKDB models come with 3 x 4 keypads to support PIN authentication. XPass D2 readers feature outdoor-ready housings with range-leading IP67 weather-proof and IK08 vandal-proof certifications. Operating temperatures range from -30 to 65 degrees C, -22 to 149 degrees F.
"With the addition of XPass D2 readers supporting CoreStation, Suprema's ACU-based access control solution, we provide new enterprise-grade features and added flexibility in system design. CoreStation is a clear alternative for an enterprise requiring higher levels of biometric security and centralized access control system topology," said Young S. Moon, CEO at Suprema. Suprema showcased the XPass D2 readers earlier this month at ISC West. The readers will be available for shipment from May 2018.